I know you'll say I don't need to apologise for lack of posting but I will, it's only polite afterall. So, sorry for not posting. I've been doing school Governor duties and just appointed a new headmaster. It's actually had little impact on my hobby but that's been just ticking along with stuff but not a great deal to share. However, I did decide it was about time I made some progress on Ferron Proxima. I hadn't really expected to paint the edges of the board butin the end couldn't NOT do it. I picked up some heavy duty red oxide primer. It's in a tin, not spray and even needs white spirits to clean your brushes. So now the edges are all tidy. Compared to the edges which were stained with the shadow wash. It really is totally unnecessary but I couldn't help myself, even with 90% of the not inexpensive tin remaining. I even dropped one of the panels and got primer on one of my hoodies! Some white spirits may have removed most of it but it was still very tense. So all the boards got coated and stacked in the garage. My only remaining things to do are perhaps a few more highlights on the skulls and the varnishing. I have continued to debate what to do about varnish and I appreciate all the advice in the comments so far. I agree that the spray varnish may not be sufficient coverage, howver I think it may create a perfect base, to add to [he says after trying two separatevarnishes with no luck and thinks two unkonw entities may work]. To this end I'll try my plastikote spray on the remaining end of my test piece and then following nafnaf's advice managed to find a Winsor & Newton varnish that was siginificantly cheaper than other varieties for a 500ml bottle. It's also semi-transparent [or even transparent] looking, which unlike the milky Polyvine and creamy Wilko varnish gives me more confidence it will not go bad. 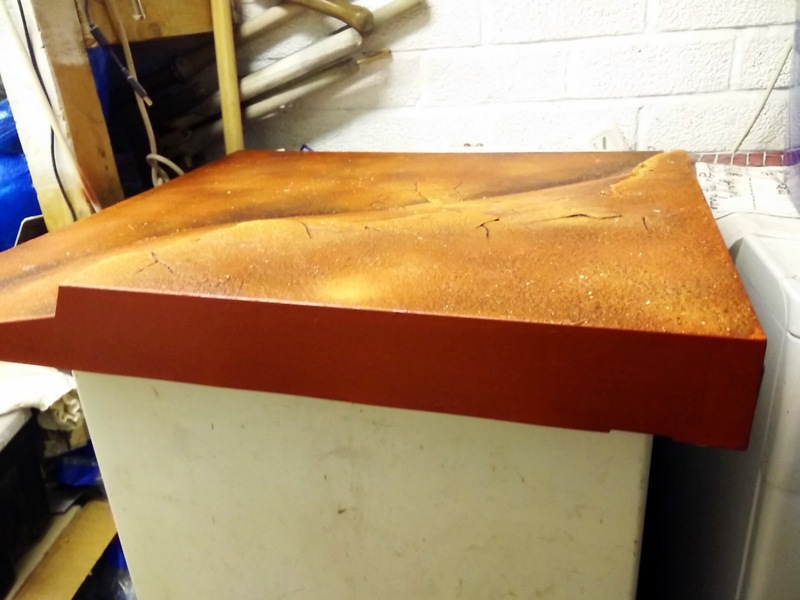 Hopefully the combined spray varnish for durability and paint on varnish for guaranteed coverage and extra durability will be the perfect answer. I'll get the tester going and then fingers crossed there'll be a good day for weather on the horizon to get this boxed off. So close, just need a sunny day. Hi im thinking about vanishing my boards also. I've put modeling sand on my RoB boards but I have noticed that bits of the plastic board shine through the gaps in the sand and it has a glossy reflective effect which ruins the overall finish somewhat, im hoping that a matt varnish will tone this down, i'm also considering spraying the boards with watered down PVA which will help secure the sand and hopefully reduce the shine. Good luck with your boards i'm looking forward to seeing the finished product! 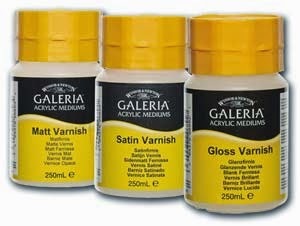 Fingers crossed for varnish luck!! !